Termas Cultural Immersion Research and related Curriculum Development focus upon the Tigle and other Tsa-Rlung / Body of Light Practices, Guru Yoga, Arts & Healing, including the related comparative structural and philosophical study of philosophies and hermeneutics there related. In bringing the teachings of authentic Termas (Nyingma) Tertons lineages to the West, CAIRN realized that such Western research framework must benefit from an experiential and intensive integrated approach in a relevant practices and pedagogy context and in a way that explores also the modern livestyles and the background Western mythological assumptions, part of the psyche. The CAIRN Modules are the reflection of the currently attempted Shedras system reform linked to Quantum Sciences, Psychology, Arts & Healing and modern HRD curricula. Students will be immerged in high energy context to combine the study of key commentaries on practices with the self-arising events of higher consciousness embodiment. In this sense, both Music, Arts, Healing and Contemplation are merged within the related HRD management analytical skills. In this way, ideological and structural misconceptions may be revealed, studied and clarity sharpened. The options for the " Termas Spiritual Empowerment Cultural Immersion Tour in Feb 2016 are organized based on the interest defined by the foreseen Participants (membership required) for a period in situ of 14 ~ 21 days in & around Bodhnath Stupa and KTM Valley (incl. 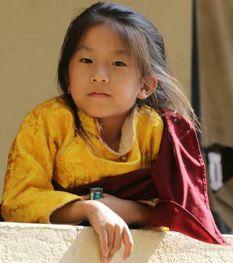 Pharping, Vajra Yogini, Nagi Gompa etc... ) and a further Option of 7 Days in Bhutan, per se! The shedule will have to remain always flexible and responding to the availability of the various Lamas, Amchis, gNakpas, Yogis or NGOs/HEIs visited and therefore can always be re-united or added to another extra more indepth option, such as Teaching, Puja, Blessing or Retreat under due supervision. for similar Tours&Studies in 2015. There will be of course more specific details in relation with the preparation and empowerment in situ.